Manchester United vs Liverpool live streaming (MNU v LIV) week 21 premier league match is here. Feel free to watch Liverpool v Man United game online here. This is probably one of the biggest rivalries in club football as Man Utd hosts Liverpool for the 21st matchday of the Premier League at Old Trafford. Being the last game of the match day, everyone would be watching this game. 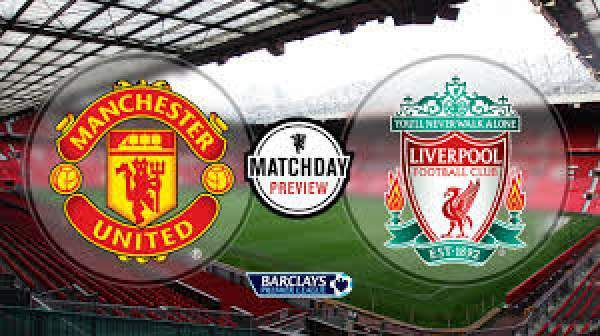 Catch updates live of Manchester United vs Liverpool live streaming at Old Trafford today. ManchesterUnited is currently sixth on the table with 39 points from 20 matches, three points below Manchester City and nine points above Everton. Liverpool is fourth on the table with 44 points from 20 games, below on goal difference from Arsenal who has played one more game than them and two points above Manchester City. 15th January 2017 at 21:30 (IST). Manchester United are currently on a tremendous run in all competition as they have won nine games in a row and are currently on a 15 game unbeaten streak. Zlatan Ibrahimovic has 13 goals in the league and is second after Sanchez and Costa. He has recently won the player of the month for December for his consistent goal scoring. Henrikh Mkhitaryan has won the goal of the month for his Scorpion kick against Sunderland. Juan Mata has been involved five goals in his last games against Liverpool. Wayne Rooney could become the highest all-time scorer for Manchester United if he scores today surpassing Sir Bobby Charlton’s tally of 249 goals in his 450th Premier League game. Liverpool has been in good form in the league, but they have dropped points against Sunderland and also drew their FA Cup tie against Plymouth Argyle at home. They recently lost the first leg of the League Cup against Southampton by 1-0. This will be the 50th premier league meeting between the two teams. They have lost 11 of their last 14 games at Old Trafford. Steven Gerrard has scored eight goals in this league fixture; no other player has more goals than him in this tie. Jurgen Klopp has lost one of his last six games against Jose Mourinho, winning three and drawing two. De Gea, Rojo, Smalling, Jones, Blind, Pogba, Carrick, Herrera, Mkhitaryan, Ibrahimovic, Martial. Mignolet, Clyne, Lovren, Klavan, Milner, Wijnaldum, Lallana, Can, Sturridge, Mane, Firmino. Watch: Everton vs Man City EPL live. Man United have won their previous six games in the league and have been undefeated in last 11 games in the league. On the other hand, Liverpool has won four in their last seven games in the league, drawing two and losing one. Man Utd might be at an advantage here as they are playing at home. Catch epl live score, Manchester United vs Liverpool match result, scoreboard, video highlights, and much more. I use PureVPN to live stream and it works good.